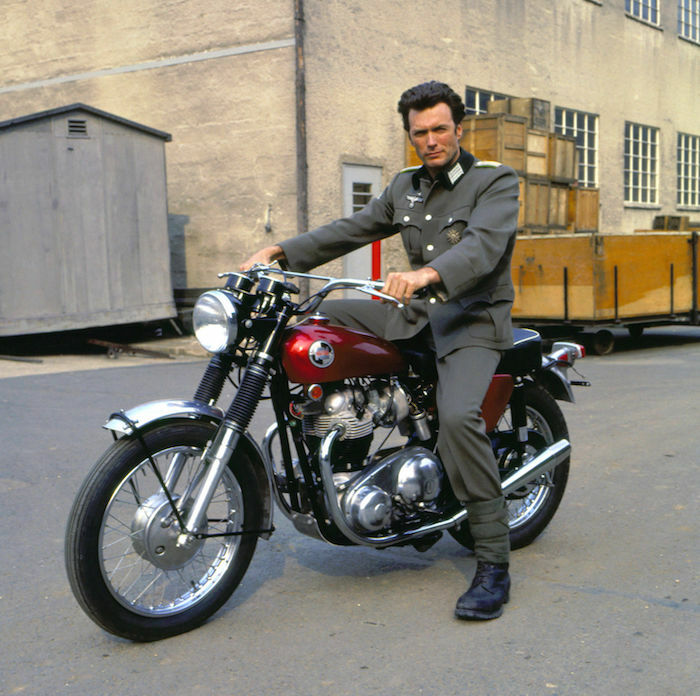 Here’s a behind-the-scenes photo from my all-time favorite movie, Where Eagles Dare (1969), to mark Mr. Eastwood’s 87th birthday. Blu-Ray News #111: The Valley Of Gwangi (1969). 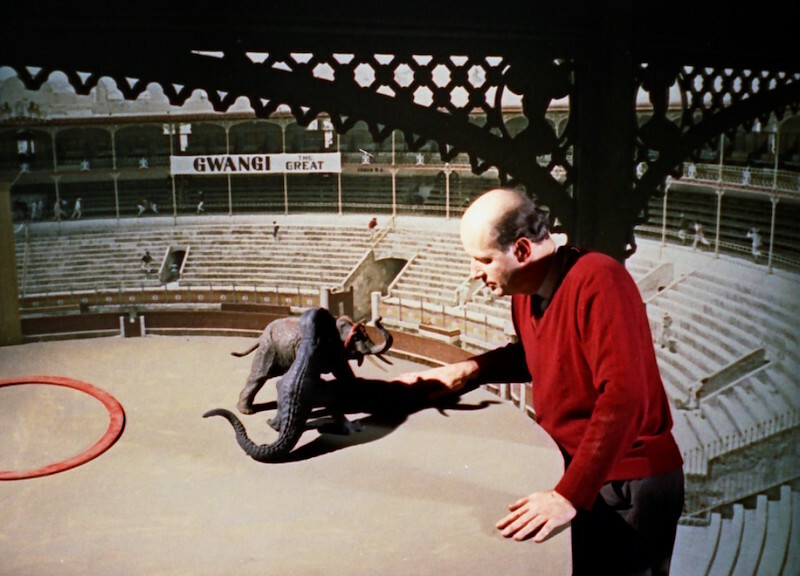 The incredible stop-motion creature effects of Ray Harryhausen seem made for high-definition. So it’s always good news when some of his work is announced for Blu-Ray. 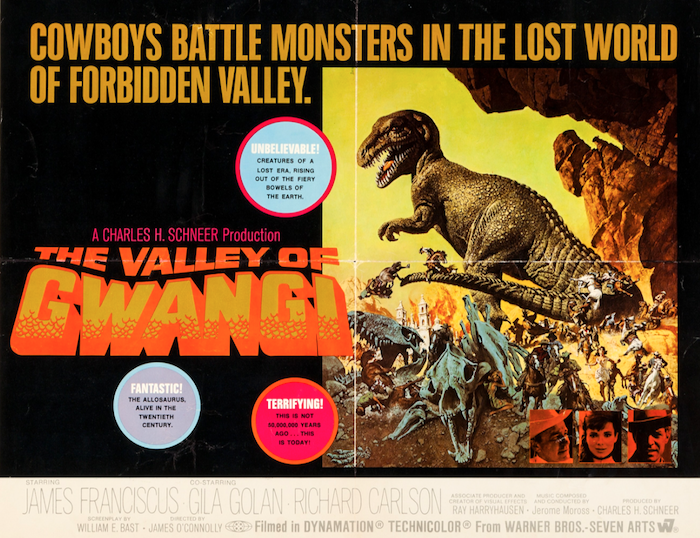 The latest is The Valley Of Gwangi (1969) from Warner Archive. The cowboys vs. dinosaurs storyline, with a good bit of King Kong (1933) worked in, came from Ray Harryhausen’s mentor Willis O’Brien. It had been brought to the screen as The Beast Of Hollow Mountain (1956). The effects in Gwangi are incredible, some of the master’s finest. And while the movie wasn’t a hit back in ’69, Harryhausen’s legion of fans have always dug it. Warner Archive haven’t put a date on it yet, but it’s coming. 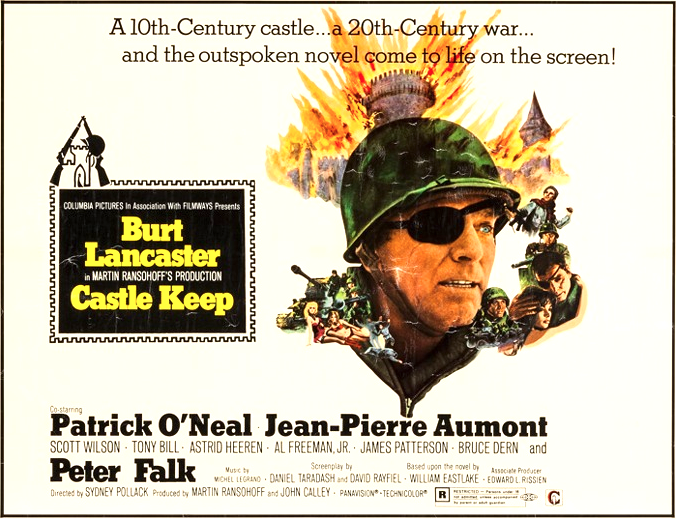 Blu-Ray News #107: The Blood Of Fu Manchu (1968) And The Castle Of Fu Manchu (1969). 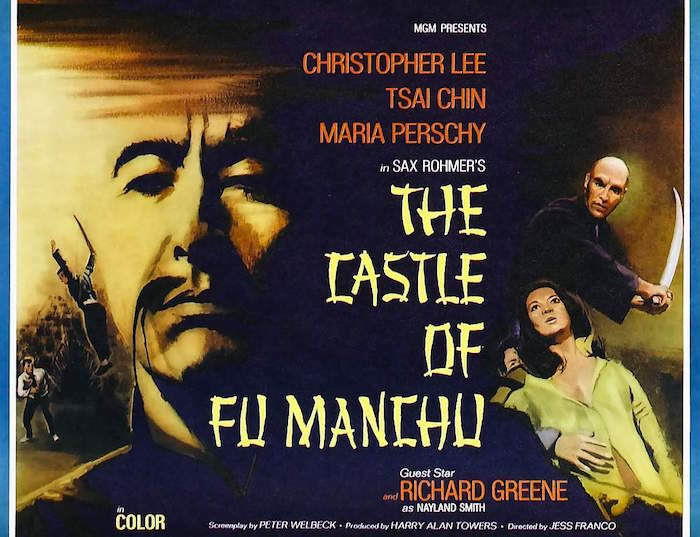 The Blood Of Fu Manchu (1968, AKA Kiss And Kill) and The Castle Of Fu Manchu (1969) — the last two pictures in producer Harry Alan Towers’ series based on Sax Rohmer’s Fu Manchu, star Christopher Lee, Richard Greene and the Law Of Diminishing Returns. Directed by the Spanish cult director Jess Franco, they have their fans — and they’ll be happy to know that Blue Underground is bringing them to Blu-Ray some time this year. The previous DVD release had a lot of extras, which will make their way to the Blu-Ray set. 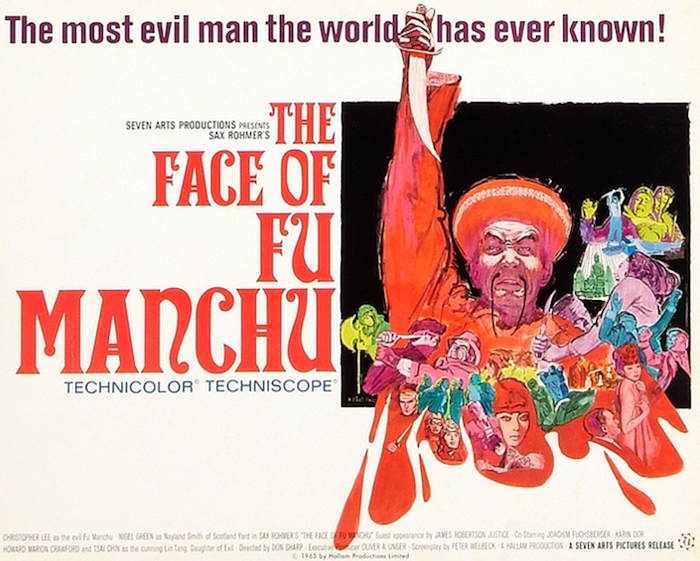 The first and third Lee/Fu Manchu pictures, The Face Of Fu Manchu (1965, directed by Don Sharp) and The Vengeance Of Fu Manchu (1967) are available from Warner Archive. (I really like Face.) The second, The Brides Of Fu Manchu (1966), was released several years ago from Warners, paired with Chamber Of Horrors (also 1966). How deep you want to go in this series is a personal thing, but Lee makes a terrific Fu Manchu — and let’s not forget him as Chung King in Hammer’s Terror Of The Tongs (1961). Blu-ray News #31: Horror Classics, Volume 1. The recent passing of the great Christopher Lee makes this upcoming (October) Blu-ray set a bigger deal than it already was. Horror Classics, Vol. 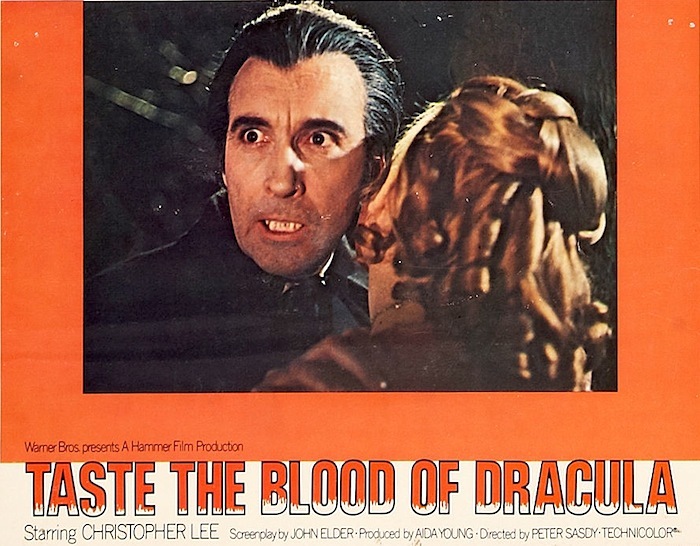 1 from Warner Bros. brings four key Hammer horror films to Blu-ray, three of them starring Lee. Each title will be also be available on its own. 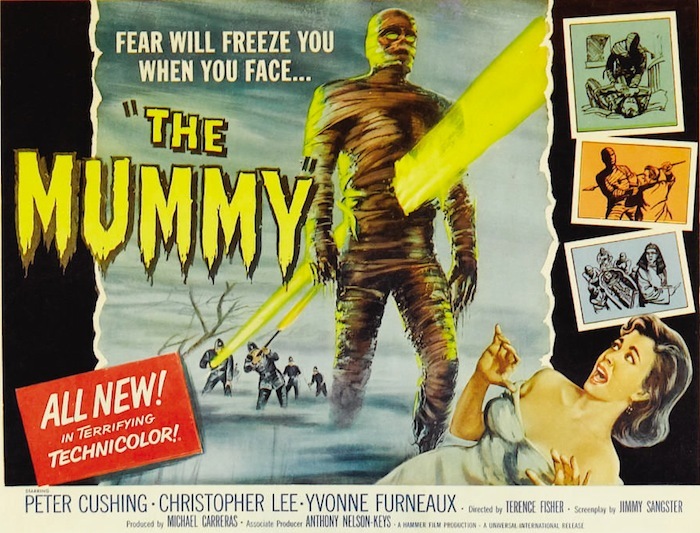 For Hammer Films’ entry into the mummy movie business, writer Jimmy Sangster borrowed from Universal’s The Mummy Hand (1940), The Mummy’s Tomb (1942) and The Mummy’s Ghost (1944). Peter Cushing and Christopher Lee had already starred in Hammer’s Curse Of Frankenstein (1957) and Dracula (1958). The Mummy‘s gorgeous Technicolor really sets it apart. 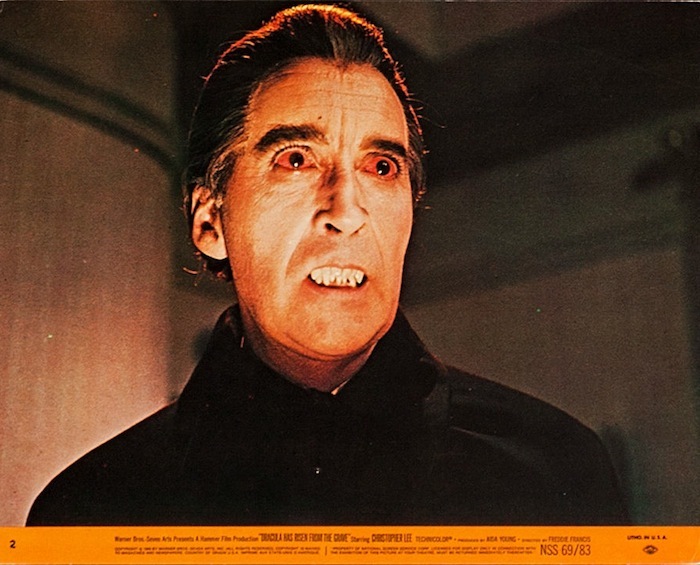 As Hammer’s third Christopher Lee Dracula picture went into production, director Terence Fisher was ill — and replaced by Freddie Francis. Francis adds some stylistic touches that help out a lot, but the fact that it was shot at Pinewood rather than the typical Bray Studios hurts it a bit. Hammer’s Frankenstein films focus on the doctor and his experiments, not the typical monster. 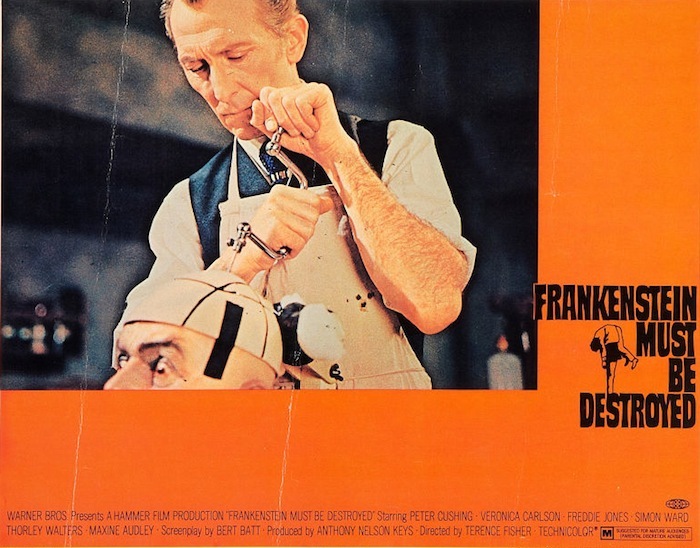 In this one, Frankenstein (Cushing) plays around with brain transplants — with the usual unpleasant results. This sequel to Dracula Has Risen From The Grave is quite good. Since Dracula’s killed off in each picture — maybe because Lee always wanted to quit doing them — it’s fun to see what ingenious way they find to bring him back. I’m really looking forward to this set — it’s sorta like Warner Bros. took a chunk of my childhood and mashed it onto onto some little silver circles.